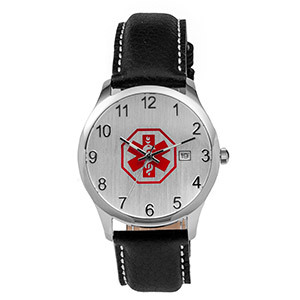 This high quality black leather medical watch is beautiful. Engrave back of watch with your medical information. Watch face is 1.5 inches wide. Up to 4 lines of 12 characters each, including spaces!